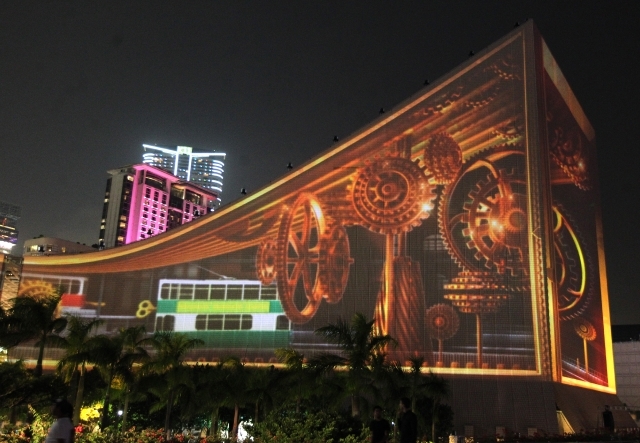 The mind-blowing 3D technology that has been seen on building facades around the world, has recently washed onto Hong Kong shores. 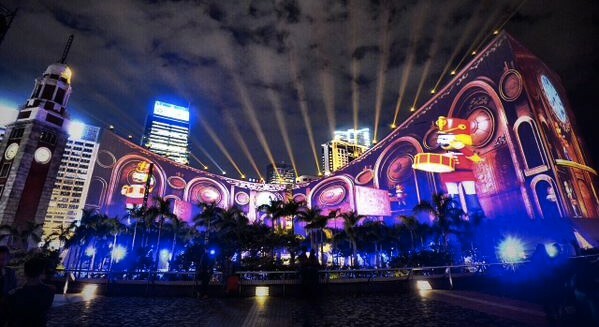 One of Hong Kong’s most iconic buildings and historic clock tower have been transformed into a multi-colored digital Christmas 3D light show. Thanks to Sydney’s Spinifex Group, and their amazing design team based in Los Angeles, Christmas has definitely arrived early this year! 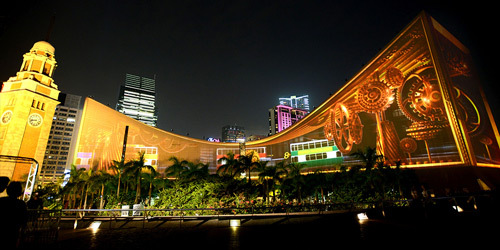 Hong Kong Cultural Center, located at Tsim Sha Tsui’s waterfront piazza, is currently illuminated with all your favorite childhood characters. Flying reindeer, snowmen, Santa and his elves, all dancing to synchronized Christmas music, will run through December 29, 2014, at 8:30pm, 9:00pm and 10:00pm nightly. 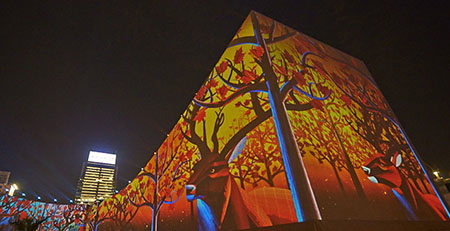 Here are some of amazing images from Hong Kong Pulse.